It starts out with a bit of cough. Then, your throat begins to feel sore, your body begins to ache and you are just tired. You try and deny it, but after a few hours, you are feeling worse and worse. You finally have to admit. It’s the flu. Even in the Spring and Summer, the flu can hit. As you probably know, the flu is no fun. This is something we all know to be true. It can bring on a number of uncomfortable symptoms from cough, to sore throat, fever and more. In many cases, it can make you downright miserable. 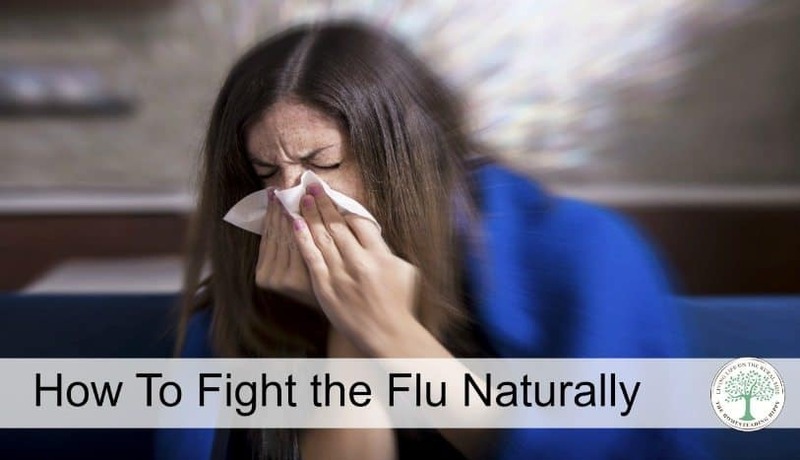 It’s no surprise, then, that people will look for ways to ease those dreadful flu symptoms. Here are some natural remedies for dealing with the flu symptoms. It’s said all the time but many people don’t take advantage of how important it really is. Staying hydrated is essential to getting better. If you are fighting off the flu, and especially if you have diarrhea and vomiting, you will be more easily dehydrated. It’s important to keep fluids in you regularly. You’ll recover more quickly and avoid dehydration-related symptoms. You don’t need those store bought electrolyte drinks, either. Vitamin C is very helpful to colds, flu, and other viruses. Some studies show this can be better than medicines since antibiotics cannot help with viral infections and other meds just treat the symptoms until your body fights the virus on its own. So, drink up that juice, and if you are feeling up to it, add some high Vitamin C foods into your diet such as citrus or some berries. Adding them to a sippable smoothie is another great way to stay hydrated. There’s a reason your grandmother always made soup when you weren’t feeling well. Adding in some nourishing bone broth will not only be comforting, but give your body back the minerals it needs to recover. I like to make it in larger quantities, such as in the pressure cooker and either dehydrate it or can it for times like this. Add 2 Tablespoons of the mixed herbs to 1 quart of boiling water and allow to steep for 10 minutes. Sweeten with honey, if desired. This can be sipped on by children over the age of 2. For under the age of 2, cut the amount of herbs to 1 Tablespoon and allow to cool or serve iced to avoid burns. Finally and most importantly-get your rest. It sounds simple but rest allows your body to do what it will do naturally and heal. When you have animals to feed, a garden to weed and a family to take care if, it’s tempting to not slow down and rest. But, it’s important you get proper rest while recovering from the flu. Listen to your body, sleep well each night, rest when you need to, eat a healthy diet as your appetite allows, and your body will fight off the flu. These tips will help you remain as comfortable as possible in the meantime. From my experience, Any warming drink can help calm the overall commotion of a flu. Honey coats the throat and relieves irritation while its antioxidant properties go to work fighting viral infections.